Lock in a great price for Santemar – rated 8.4 by recent guests! The place is in a pretty good location, lots of parking spots, near the beach and lots of restaurants and bars. The location was perfect to have easy access to El Sardinero beach. The room was spacious, very comfortable and we had a gorgeous view from our window. Clean, great location and very professional and friendly service. The price and location of the hotel is good. It is a bit dated though and the rooms could do with refurbishment. Great location, good cafeteria and restaurant, friendly and helpful staff. Rooms are nicely sized, good views, ample closets. The hotel is situated near the beach with a handful of bars and restaurants to choose from within its proximity. When we arrived we couldn't open the mini bar(fridge). I rang reception,within 5 minutes two maintenance men had called. They opened the door and discovered it was iced up. One left the room , within 5 minutes he was back with a replacement fridge ! As they left they said someone would be back shortly to clear up some water that had dripped on the floor. Sure enough a couple of minutes later a maid came in and dried up the small pool of water, and also emptied and cleaned the fridge before reloading it and leaving.Fantastic service well done !!! The location is perfect, the breakfast is amazing, the gym is great. The hotel is very clean and everything was perfect. Good breakfast buffet. 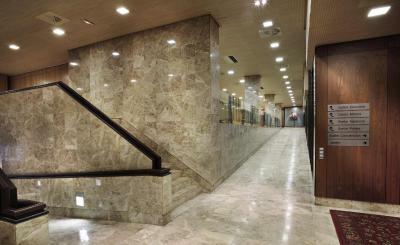 Located 200m from Playa el Sardinero. 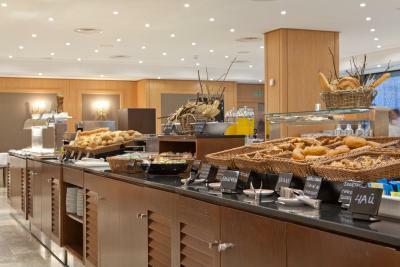 The gym is excellent, and the breakfast is very good, with traditional and international food. The beach is very close, and the location is excellent. Santemar This rating is a reflection of how the property compares to the industry standard when it comes to price, facilities and services available. It's based on a self-evaluation by the property. Use this rating to help choose your stay! One of our top picks in Santander.Situated 500 feet from Santander’s Sardinero Beach and Casino, the Santemar features a Japanese garden and elegant rooms with air conditioning. It also has a lounge with a flat-screen TV. 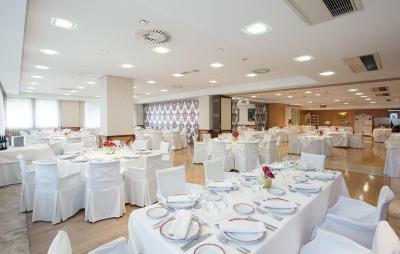 The restaurant serves typical Cantabrian dishes, made with local and regional products. 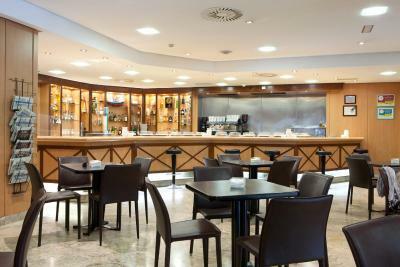 The hotel has a cafe-bar for light meals and drinks. Rooms at Santemar have large marble bathrooms complete with a hairdryer. They also come with a minibar and safe. 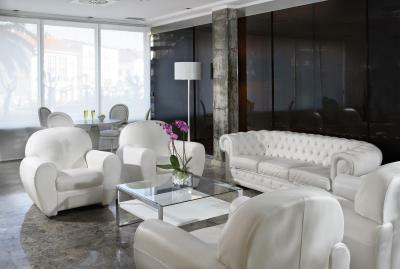 Santemar’s 24-hour front desk operates a tour desk and ticket service. Car rental can be arranged for guests and parking is available on site, for an additional fee. 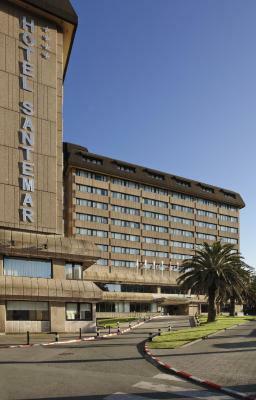 When would you like to stay at Santemar? This classic-style room includes air conditioning, a minibar and a safe. The spacious marble bathroom comes with a hairdryer. 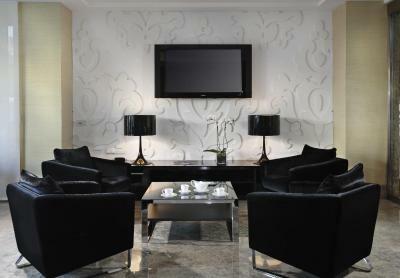 This classic-style room includes air-conditioning, LCD TV, a minibar and a safe. The spacious marble bathroom comes with a hairdryer. This room offers sea views. This classic-style room includes air conditioning, a minibar and a safe. The spacious marble bathroom comes with a hairdryer. This room is made up of 2 interconnecting bedrooms, one with twin beds and the other with a king bed. This quadruple room features a minibar and air conditioning. This triple room has a minibar and air conditioning. This Junior Suite comes with a sitting area, safe and mini-bar. There is a private bathroom with spa bath, free toiletries and a hairdryer. This classic-style room includes air conditioning, a minibar and a safe. The spacious marble bathroom has a hairdryer and toiletries. Parking is included in the rate. House Rules Santemar takes special requests – add in the next step! Santemar accepts these cards and reserves the right to temporarily hold an amount prior to arrival. Car parking was a little pricey at 15 euros per day. Location was very good 10 minutes from the ferry port and 2 minute walk to the beach. Restaurant meal was very good and well priced. Room was spacious and comfortable. On site parking was a bonus. 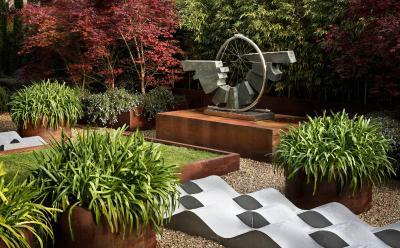 Excellent accommodation and good parking facilities. 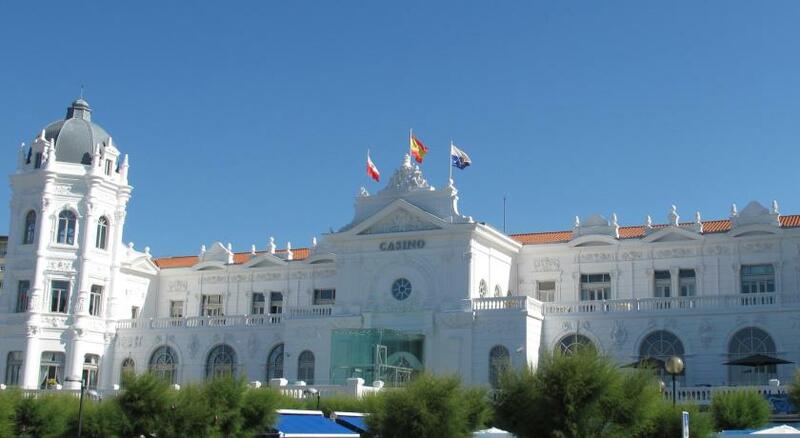 Close to the beach, casino and bars and a great buffet breakfast. Easy to process. Good gym. Very close to the coast and really good breakfast! The barman didn't give me any attention at first and was ignored. The bar lady did give attention and better service. Nice location and good value. Rooms are spacious and very clean. The car park on site is nice and secure. The receptionist were very good and helpful, very good English. Hotel is a bit old, but then again most things are a bit old in this city. The walls are really thin you could hear everything especially if someone was tacking a shower at night. The hotel is of an age and it could do with a little bit of TLC especially when it comes to rooms. The location was great for what we were looking for! Nice bars and restaurants around. A delicatessen attached to the hotel where you can buy traditional food. The big plus were the amazing cleaning ladies who keep the place running with a smile. The bathroom is starting to show its age and might need some refreshing, specially the ceiling. Very good value for money for a quiet family room with confortable beds and great location to explore Santander. Very friendly and helpful staff. Child friendly hotel. We ate in the cafeteria which was good value and the staff were very helpful and friendly. Good location, close to the beach, and some really good restaurant. The acoustic is not good! We can hear clearly what is happening in the next door rooms. The room smell cigarettes inside, looks like is a room used for smoking ar non smoking guest. The hotel not separate the tourism youth group from the rest, so the younger make too more noisy all over the hotel, for the ones that goes to business become a little complicated. The nearest to beach, facilities, location. Very good for business and for tourism with family.